Compare Mortgage Rates & Closing Costs | 1st Residential Funding Inc.
With literally thousands of mortgage companies and banks on-line today, comparing interest rates can be very difficult. Information is not always fully disclosed or the manner in which it is presented can make finding the disclosed information very challenging. 3. Type of property, i.e. single family, condo, townhouse, etc. 1. Are there any points? 2. Are there any broker fees? 3. Are there any origination fees? 4. Are there any discount fees? 5. Are there any application fees? 6. Are there any builders fees? All of the above will be expressed as a percentage of the loan amount (1 point = 1% of the loan amount). These are very important questions, because zero points does not necessarily mean zero fees, as expressed as a percentage of the loan amount. Beyond the fees expressed as a percentage of the loan amount, you should see very little difference in the closing costs. 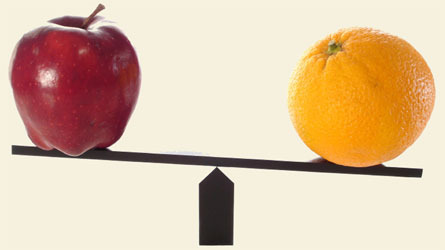 If there is a substantial difference you are probably not comparing apples to apples. Getting all the facts up front will make for a smoother closing with no last minute surprises. Let 1st Residential Funding’s professionals guide you through the loan process and help you get the financing that is right for you. Get a Good Faith Estimate now!